Expertise Matrix is a skill matrix generating solution for managing company, department or team skill sets. 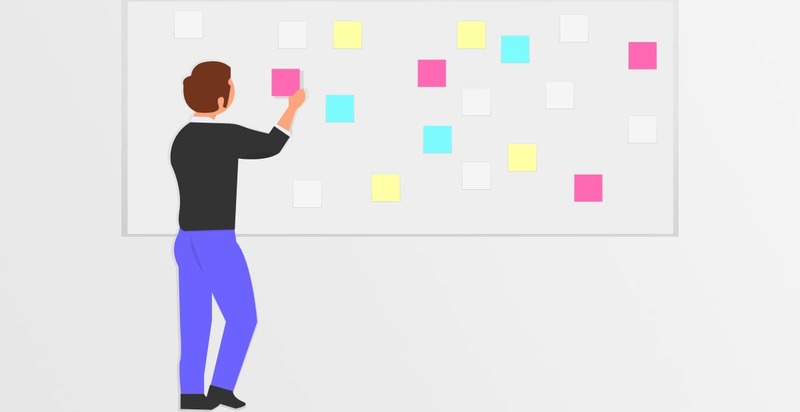 It helps you with onboarding, monitoring the progress of individuals, defining targets, and identifying gaps in your skill base, so that employees are happier and your systems and services run at peak efficiency. Get a Free Quote Now Try it for Free! How do you keep up with your team's skills? 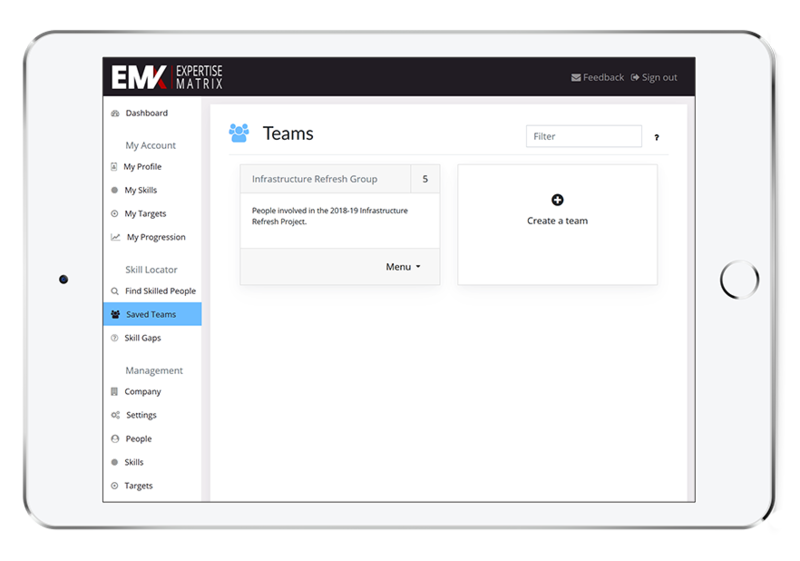 Improve teamwork skills, identify the essential skills needed to run your services, track key skill holders, and dynamically build skill matrices so you can quickly and easily compare skill levels across your whole team. Never again struggle to find team members with a required skill proficiency as maintaining skill information and searching it is made easy. Create achievable learning targets for people in skills they would like to learn or need to develop. 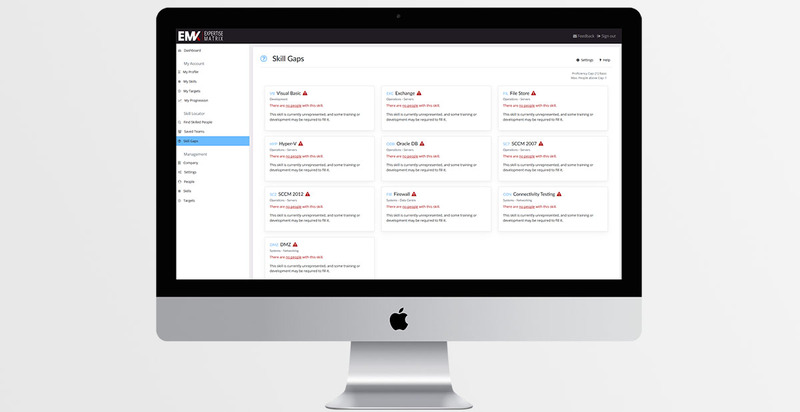 Plan for the future to identify and close skill gaps and remove single point vulnerabilities, or quickly identify failovers when needed and build fault tolerance from the team level up and improve your overall system reliability. Plan your onboarding process with new recruits, getting them up to speed with the required skills faster and more efficiently, and start their professional development immediately. What do you do when a skill is under-represented? Identify skills gaps (skills which lack a sufficient quantity of people of a high enough competency level) to help you identify at-risk systems or processes so that you can work towards improving resilience and plan for unexpected problems. 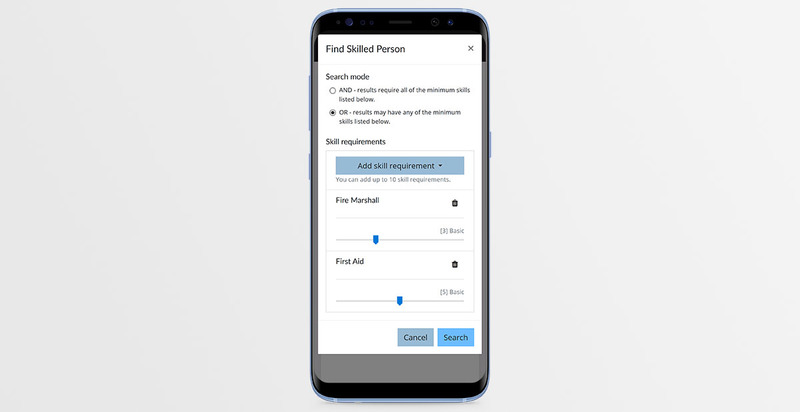 Search for people with competency in any of a list of skills, or for people with all of the selected skills. Get the exact results that you require. Need a team with specific skills represented? 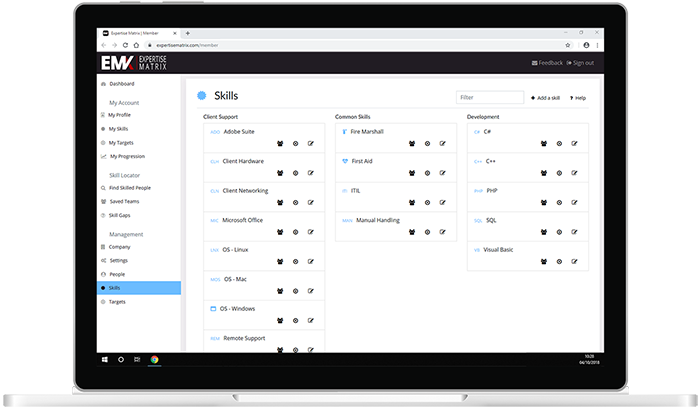 Specify a list of required skills and let Expertise Matrix build you the perfect team to match those skills for you. Plan for one off events or save the team for long-term projects or future reference. 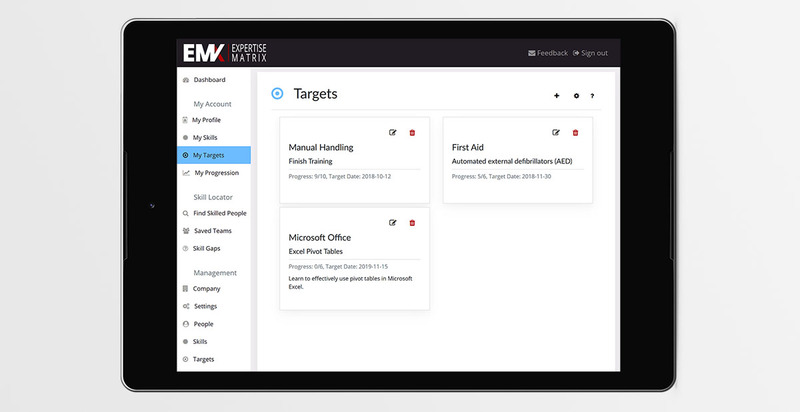 Expertise Matrix is not just another skills tracker, its also designed as a fluid and easy-to-use team manager for all your day-to-day project needs. Ready to start managing skills? Add and customise each skill one-by-one, or copy and paste a lot of skills in one go. 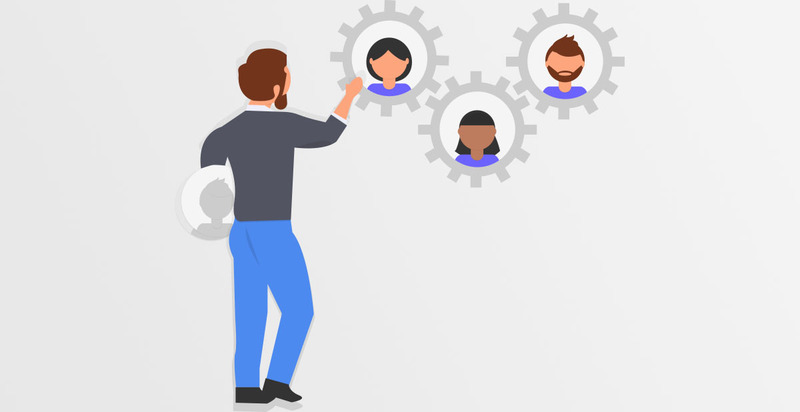 Add one or more users (up to your subscription limit) and either invite them to login and enter their own skill proficiencies, or manage their profiles for them. 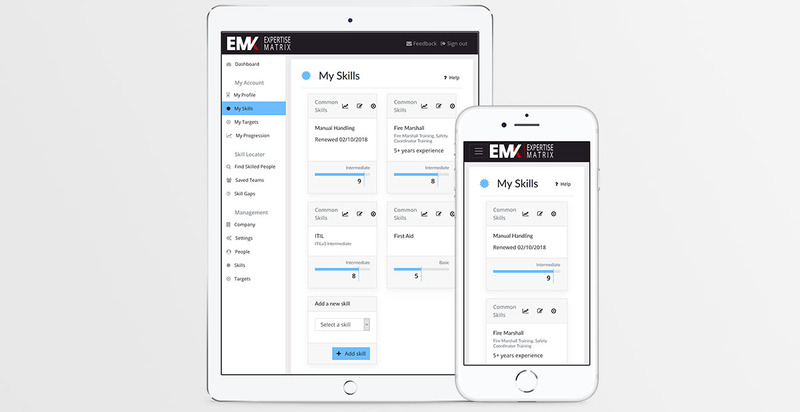 Create targets on each skill, view a history of their progression, monitor training and qualifications, all from within a single website. "This article looks at what makes up a skill matrix, and how to successfully implement one into your CV." "The day of the specialist is ending, more than ever we are asking for our team members to broaden their skill bases..."
"This article is aimed at examining the process of taking a good Skill Matrix and using it to build a mentoring program." 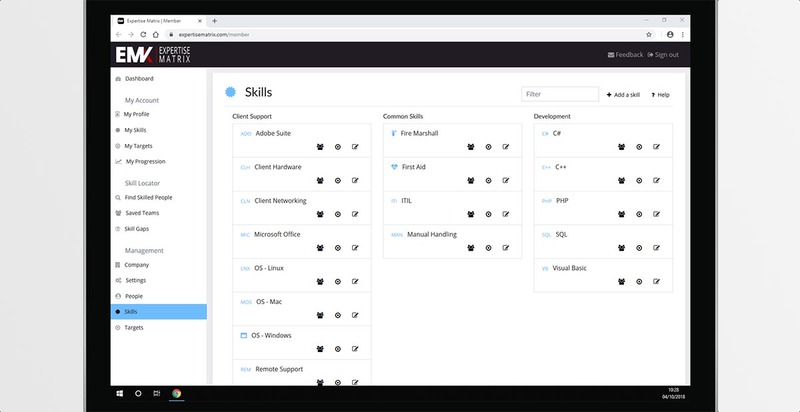 Quickly and easily build a list of your company's required skills, services, areas-of-responsibility and tasks. Make these skills available to your teams to rate their own and track their competency levels (proficiency). 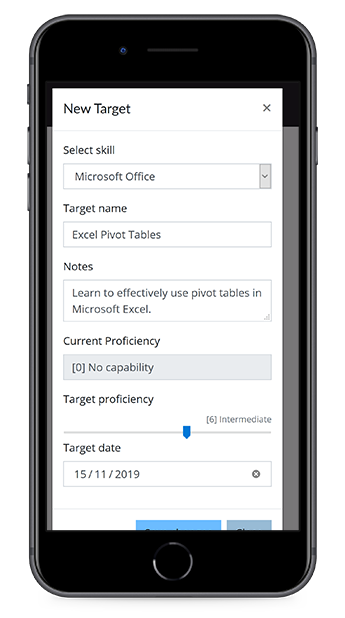 Add users and allow people to select identify and quantify their skill proficiency levels, or take complete control and enter the data for each person yourself. Track your employees' self development over time, watch for skills that grow faster or slower than others and target them for attention. Work with your employees to set realistic and achievable development goals in the skills they already possess, or help guide their career in the skills they're interested in. 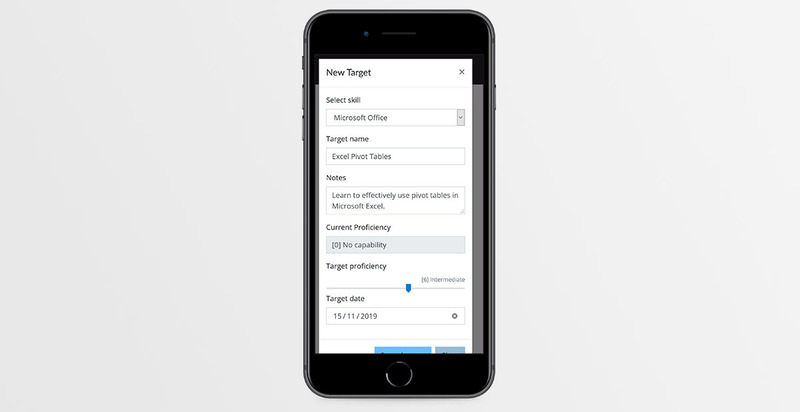 Track each person's progress towards their targets, monitor for impending target deadlines and quickly highlight and deal with overdue progress development. Help people achieve their learning goals and grow their careers, using this targetted learning to help build the workforce your company deserves. Quickly identify under-represented skills and single-points-of-failure. Resolve resourcing problems before they arise, and never put yourself or your company at risk. Set out per-person learning targets to lessen the impact of problems in at-risk areas. Close skill gaps before they have a chance to impact on your business. Identify unrequired skills and plan for skill or service obsolescence. Remove the overhead of unnecessary training when a skill is no longer required. Search for people with one or more skills at a specified level or above. Build complex searches patterns for exactly the people you need. 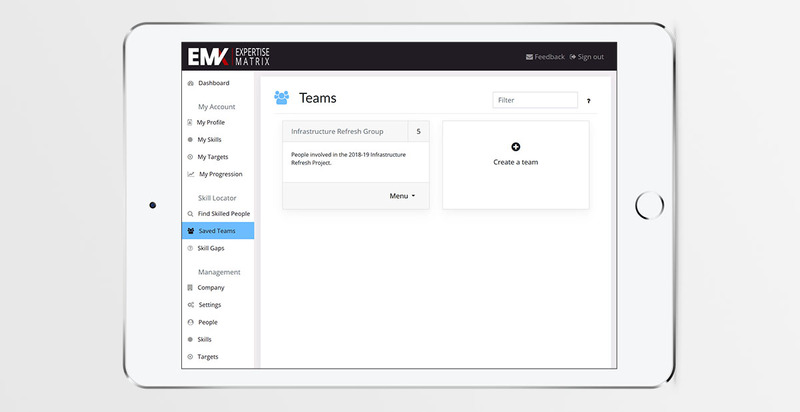 Organise results into a new virtual team, or add them to an existing team. With no limits on the number of teams you can have, the sky's the limit. Keep teams for permanent reference or have them automatically disolved once their task is complete. Add, and remove people and skills when they're needed or when they have completed their goals. It appears that you have scripts disabled in your web browser. 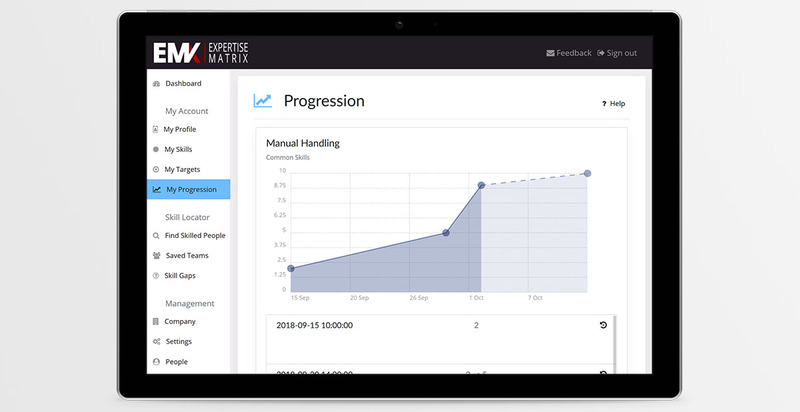 If you experience problems, please contact support@expetisematrix.com for assistance in re-enabling scripts.